With Readly you can read All About History - Book of the American Frontier and thousands of other magazines on your tablet and smartphone. Get access to all with just one subscription. New releases and back issues – all included. "As the American Revolution drew to a close and the colonies claimed independence from Britain, the United States’ gaze turned west to the vast expanse of land that was seemingly ripe for the taking. After all, according to their Manifest Destiny, it was their God-given right to expand. 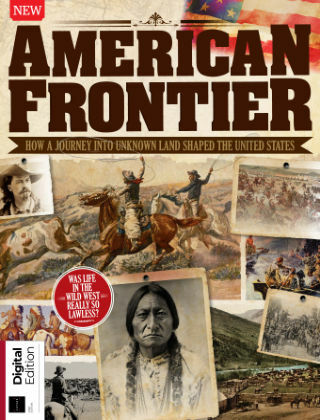 In the Book of the American Frontier, uncover the resistance that these enterprising settlers faced, from the Native Americans to the unforgiving terrain. Discover the reality of what life was like on the frontier, and meet some of the key figures in creating the legend of the Wild West, including Billy the Kid and Wyatt Earp. Elsewhere, find out how the Native Americans suffered at the hands of the settlers, from wars and legislation that stripped them of their rights, to attempts to crush existing cultures."